AirCasting in Action, Now with 500% More Sensors! Looking at the CO and NO2 maps and graphs from my ride, observe that the readings don’t budge much. (Toggle the arrow on the bottom left to view the graph; hover your mouse over the graph to see the corresponding location on the map). At this point we’re not at all sure how to interpret the readings from these low-cost metal-oxide semiconductor gas sensors. There’s a laundry list of complicating factors (detection limits, range limits, response time, hysteresis, cross-sensitivity, relative-humidity effects, temperature effects, aging, air flow characteristics, saturation effects, poisoning) that make it extremely difficult to characterize their sensitivity and accuracy. That’s why we have the air monitor reporting measurements using a generic response indicator (RI) unit rather than parts per million (ppm) or parts per billion (ppb). So why were the measurements mostly static? Maybe because the concentration of these gases is in fact relatively stable across the area that was surveyed. Or maybe because the ppm or ppb range represented by one unit on the RI scale is very large, e.g. a change in 1 RI unit might correspond to a change in 30 ppb NO2. Or maybe . . . well there are a lot of potential maybes. Bottom line is we’re not sure what’s happening but we’re on the road to find out. In the coming months we’ll be setting up a mini-lab in partnership with the New York Hall of Science and the New York City College of Technology to run some basic tests on the gas sensors. We think we can improve the accuracy of the gas sensors by calibrating them against known gas concentrations and higher-end instruments. We’ve also let the EPA borrow one of our air monitors to run through a battery of tests at their high-tech lab in Research Triangle Park and are looking forward to using the results of their study to further improve the air monitor. Whereas were not sure what’s happening with the gas sensors, we’re more confident in the accuracy of the temperature and relative humidity sensors on board the air monitor. The temperature and relative humidity sensors are affected (rising temperature and declining relative humidity) by the heat generated fom the operation of the air monitor electronics. However, this didn’t seem to be a problem tonight; probably because moving fast while cycling improves air flow through the device or maybe under cooler conditions the intensity of the heating is less pronounced. Looking at the temperature and humidity maps and graphs, you can see that the urban heat island effect is in effect. Outside the park the temperature averages 66 degrees whereas inside the park it averages around 63. And you can see the temperature start to drop immediately upon entering the park. Relative humidity moves in the opposite direction, climbing when I enter the park and peaking as I ride through the forested section of the park between E. Lake Drive and my stopping point in Long Meadow. As for my heart rate, it spiked when I first started out, spiked again every time I rested (like when I got stopped by a red light at 4th Avenue and again when I stopped pedaling while riding down the beginning of the hill in the park) and then spiked again pedaling up the steep hill through the woods at the end of my ride (this is hard to see because I lost my GPS fix again going through the woods). All in all a good ride and a great AirCasting session. Join AirCasting at EcoHack NYC this weekend, 4/20 – 4/21. I’ll be giving an ignite talk Friday night to rally contributors for Saturday’s Hackathon. I’ve posted my ignite talk abstract below. Much of what happens in our immediate environment and our bodies passes without note despite the positive contribution that recording and crowdsourcing these moments might have on our understanding of our health and the health of our communities. AirCasting is a platform for capturing this lost reality and returning it to us as useful, actionable data. Using the AirCasting Android app, AirCasters can record, map, and share sound levels from their phone microphone and temperature, humidity, and CO gas concentrations from a handheld Arduino-powered sensor package. At EcoHack we want to hack enviro-sense and bio-sense devices, plug them into the AirCasting platform, analyze the data to identify correspondences, and answer real world questions. Is your noisy neighborhood disrupting your sleep? Is your exercise heart rate elevated when the air is bad? Do your blood oxygen levels drop when atmospheric CO levels are high? Potential hardware for hacking includes but is not limited to gas sensors, the Zeo electroencephalography head band, heart rate monitors, and pulse-oximeters. AirCasting is not-for-profit initiative. Our platform is open source and purpose built for crowdsourcing environmental health data. Our team of contributors is diverse and includes environmentalists, engineers, scientists, educators, and designers. Come hack with us! On March 25th I flew down to North Carolina to share AirCasting at the “Apps & Sensors for Air Pollution” workshop hosted by the US Environmental Protection Agency. The workshop took place at the EPA’s state of the art facility in Research Triangle Park where participants gathered to share their work building, testing, and visualizing data from low-cost, mobile air quality monitoring hardware. From remote control air quality monitoring helicopters to piezoelectric powered health monitoring bracelets to air quality eggs, it’s all covered here . . .
Michelle Gerboles from the European Commission – Joint Research Centre shared his work on “Micro-sensors for ambient air monitoring”. Standing out among the many projects he covered was his work measuring ship emissions using an “unmanned flying platform”. Veena Misra from North Carolina State University presented her work on Advanced Self-Powered Systems of Integrated Sensor Technologies aka ASSIST. She described how body heat and motion might be used to power sensor bracelets that would continuously monitor an individual’s biology and environment and provide bio-feedback that could be acted upon in the moment to improve health. I wonder if one day these types of sensor packages will live inside our bodies, powered by our own glucose stores. Lose weight while monitoring your health! Brian Beveridge from the West Oakland Environmental Indicators Project presented the air quality monitoring his community group did in their residential neighborhood located next to the seventh largest port in the US. They used a range of different air quality monitoring devices including the Intel-Berkeley Common Sense badge. Joe Saavedra from Parsons presented Citizen Sensor and the Air Quality Egg. Two exemplary citizen science projects that prioritize public engagement as a core value. Prabal Dutta from the University of Michigan presented a bird’s eye view of the evolution of pervasive sensing systems and identified some of the opportunities that will emerge as these systems proliferate. He should know since he was one of the big brain’s behind the previously mentioned Common Sense badge and HiJack, a hardware/software platform for creating cubic-inch sensor peripherals for smartphones that harvest power and bandwidth from the headset jack. Michael Hannigan from UC Boulder presented M-Pod and the Mobile Air Quality Sensing System. It’s amazing how many of us are working on handheld air monitoring units paired to Android smartphones. I’ve been talking with Ricardo Piedrahita, a grad student at Boulder who is working on the M-Pods, about flowing their data into the AirCasting platform. Mike Taylor from Carnegie Melon unveiled the AirBot, a sub-$100 handheld particulate matter sensor. He also shared a phenomenal graphing application that his team at the CM Robotics Institute created to display data on their bio-sense platform, BodyTrack. Unfortunately the BodyTrack website is not open yet but they created a nice Google map mashup using air quality data from AIRNow.gov that shows off their graphing software. Jenny Quintana from San Diego State University Graduate School of Public Health presented CitiSense, another citizen science project that utilizes handheld air monitoring units paired to a smartphone. This scary map from Greenpeace maps U.S. chemical plants and their potential poison gas cloud fallout zones. Like the EPA greenhouse gas map I blogged about a few weeks back, the Houston Ship Channel area has the densest concentration of facilities followed by the “chemical corridor” between Baton Rouge and New Orleans. It would be great if this map was bigger and the facilities list generated by address searches generated a complete rather than a partial list of facilities. There should also be a way to toggle off the fallout zones because they obscure the underlying map. But mostly what this maps needs is a better explanation. I’d like to know what types of chemicals pose the greatest threat and I’d like to know how often these types of accidents have happened in the U.S. 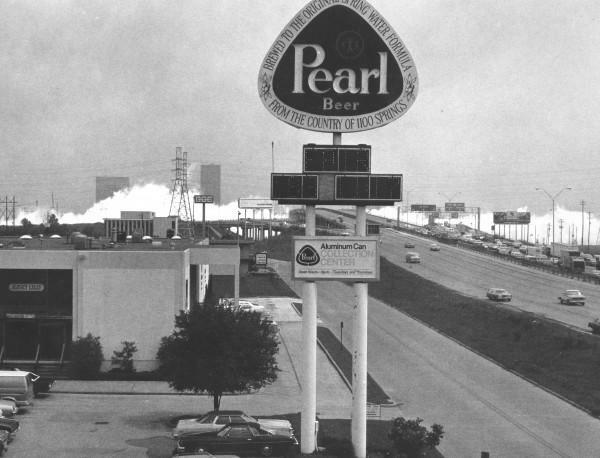 Growing up in Houston I remember hearing about an ammonia tanker truck that crashed at the intersection of the Southwest Freeway and the West Loop releasing a toxic cloud that killed seven people and led to the hospitalization of seventy-eight. I recorded an AirCasting session yesterday that highlights the contrasts between the Gowanus and Park Slope neighborhoods. Though the neighborhoods are close geographically speaking, the streetscapes are very different from one another as are the noise levels. To contextualize the sound level readings (and to show off one of our latest features) I attached notes and photos to my AirCasting session. Have a look: “Gowanus Canal to Prospect Park“. The EPA recently released an interactive online greenhouse gas map that includes emissions data for individual facilities. I’ve been following the evolution of the EPA’s mapping technologies for the last seven years and this is their most impressive offering to date. The maps are served quickly, the user interface is mostly intuitive, and the data can be filtered and sorted before being displayed as a map, list, or graph. It would be great if the map also included facility data on criteria and hazardous air pollutants. I filtered the map to display all the refineries and chemical factories in the United States and as I suspected, my home town of Houston, or more accurately the Houston Ship Channel, is the epicenter. I also checked the geographic accuracy of the EPA’s facility data by comparing their map of New York City power plants to the map of power plants HabitatMap created in partnership with Sustainable South Bronx that identifies “peakers”. Unfortunately the EPA markers identifying the locations of the power plants is not very accurate. It appears as though they gecoded the locations using addresses rather than latitude and longitude. AirCasting is a HabitatMap project. HabitatMap is a non-profit environmental health justice organization whose goal is to raise awareness about the impact the environment has on human health. HabitatMap will never collect any personally identifiable information about you through the AirCasting app or website unless you have provided it to us voluntarily, nor will we use any information gleaned from your Android device to market to you or pass your information to any third party. Both the AirCasting Android app and the AirCasting website are compliant with the EU General Data Protection Regulation. Specifically, we recognize that users have the following rights: a right to portability of your personal data; a right to obtain restriction of your personal data’s processing; a right to obtain erasure of your personal data; and a right not to be subject to an automated individual decision. Location: To geolocate your measurements, the AirCasting app requests permission to access your location. The AirCasting app has several features that enable location data to remain private. AirCasters can “disable maps” in the app settings, which turns off GPS tracking. When AirCasters record data with the GPS disabled, the data never leaves the Android device and is never synced to our servers. AirCasters can elect to save their data to the AirCasting server but not contribute it to the “CrowdMap”. This means the data can only be viewed on the website via a link that you generate inside the app when signed in. AirCasters can also elect to send the data from the app directly to their own server, entirely bypassing the AirCasting server. In addition, when recording fixed indoor sessions, GPS coordinates are never logged. Microphone: To record sound level measurements, the AirCasting app requests permission to access your microphone. The raw audio captured by AirCasters’ microphones is never recorded; rather the audio signal is immediately converted to a sound level measurement before it is stored on the phone and communicated to the AirCasting server. Phone Status: To record sound level measurements, the AirCasting app requests permission to read your phone’s state. Knowing the state of an AirCaster’s phone allows the app to temporarily suspend the recording of sound level measurements during phone calls. USB Storage: To attach photos to notes, the AirCasting app requests permission to read the contents of your USB storage. Most sound level meters come equipped with a foam windscreen that fits over the top of the microphone, protecting it from wind interference. If you plan to use your phone mic for recording sound level readings, try crafting a windscreen to increase the accuracy of your readings. I improvised a homemade windscreen by taking the foam covers off an old pair of headphones, rolling them up together, and jamming them between the phone mic and my plastic phone case. I “tested” the setup by holding my phone in front of a fan and the windshield proved effective, dropping around 10 decibels (dB) of wind interference. In comparison, the windscreens on my sound level meters were able to drop around 15 – 20 dB. If you come up with a better method of protecting your phone mic from wind interference please email us at info@habitatmap.org.